If you're like myself , with a deep interest in the happenings of Spokane's growing food truck base then the name Patty's Taco's is a business that you probably already know all about. In fact because of the quality Mexican dishes served up by Patty's even those who aren't " in the know " know of Patty's Taco's. But now that truck is more then just a food truck, it's an actually brick and mortar restaurant as well. Patty's Taco's opened recently with a new full restaurant in the same building as the GTX Truck Stop at 18724 E. Cataldo Ave. in Spokane Valley. The space is in the same building as GTX but is separate with no entry directly from inside the truck stop's c-store. The new Patty's Taco's restaurant has a similar menu to the food truck menu. 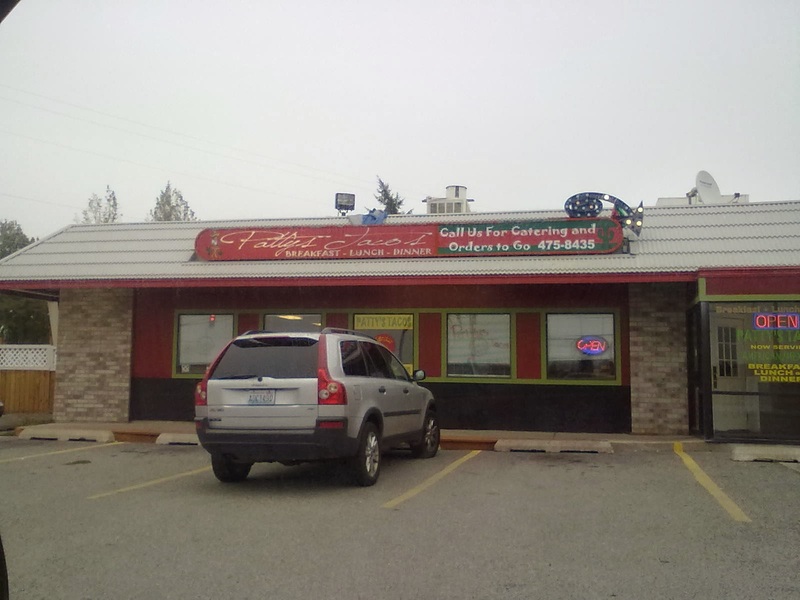 The menu consists of reasonably priced Mexican dishes. The new business offers meal options for breakfast, lunch and dinner. And as noted in the above photo catering and to go orders are available at Patty's. Patty's Taco's appears to also be keeping it's popular food truck business open as well. The main food truck is located on N. Division 4 or 5 blocks south of Northtown Mall . That truck's space is sitting on land used occationally by Cliff's Public Auto Auction for their vechicle auctions. 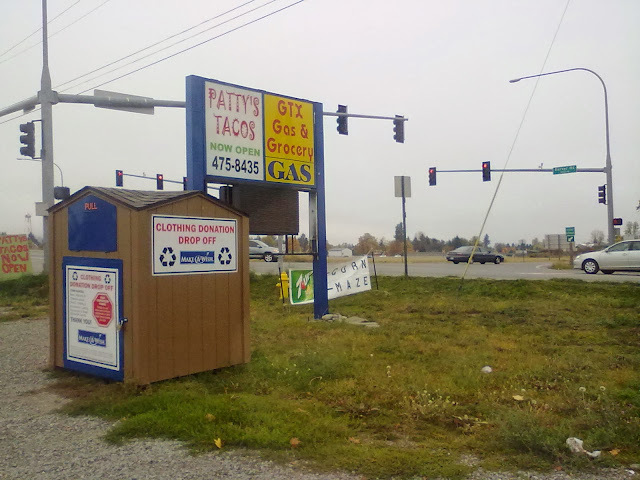 Their is also a Patty's Taco's #3 at 208 W. 1st Ave. in Cheney . I'm not sure at this time where the #2 location is , if anyone can help with this please feel free to contact me using the contact us link on this web site. A web site for Patty's is also mentioned on Facebook. However the web site redirects to a parked site page at the present time.